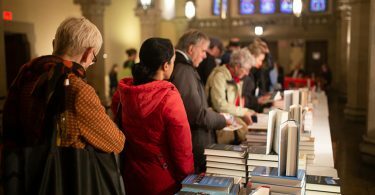 BOSTON — The 2018 Boston Book Festival took over the streets and venues around Copley Square on Saturday, Oct. 13, featuring a rich selection of panelists, writers and journalists who presented their work and shared their ideas on a range of topics, from cultural change, diversity and immigration, to feminism and youth activism. At the Trinity Forum, in the basement of Trinity Church, authors Monica Muñoz Martinez, Laura Wides-Muñoz and Jabari Asim came together for the session “America’s Original Sin: Racism,” which touched on the roots of racial discrimination in the U.S. and how it has shaped American culture and communities over the years. 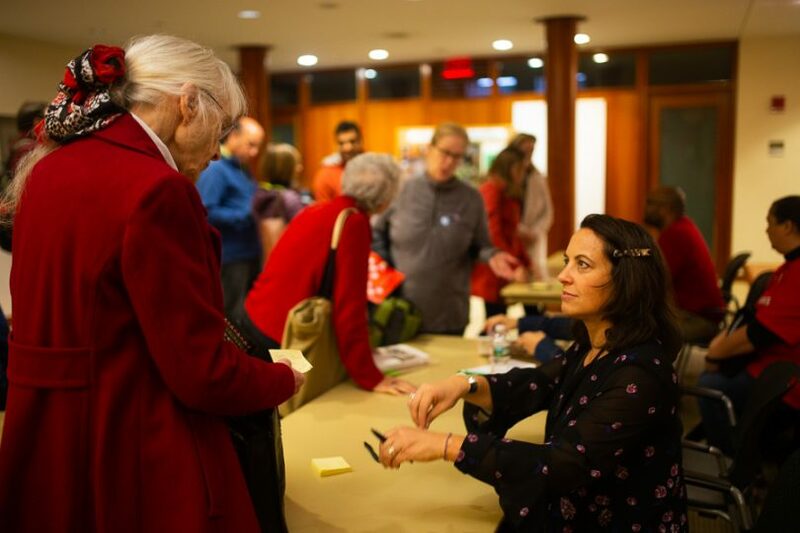 Muñoz Martinez, a history professor of American Studies at Brown University and 2017 Carnegie Fellow, talked about her work with descendants of racial violence in Texas and the importance of contrasting official narratives with their testimonies. Muñoz Martinez’s book “The Injustice Never Leaves You: Anti-Mexican Violence in Texas,” chronicles the history of vigilantes and law enforcement officials who killed Mexican residents with impunity in the first decade of the twentieth century. By tracking down and speaking to victim’s relatives, Muñoz Martinez was able to tell the hidden side of the story and uncover how this massacre had a lasting impact on Hispanic communities in Texas. Constant fear and anxiety were common traits in the work of all three authors. In her book “The Making of a Dream: How a Group of Young Undocumented Immigrants Helped Change What it Means to Be American,” Wides-Muñoz explored the emotional impact that fighting for inclusion and legalization has had on the “dreamers” and on immigrants themselves. He was referring to the case of Brennan Walker, a 14-year-old African-American who was shot at by a white homeowner in the suburb of Rochester Hills in Detroit. On the morning of April 12, 2018, Walker knocked on a door to ask for directions after missing his bus on his way to Rochester High School. A woman inside yelled at him and accused him of trying to break into the house. While he tried to explain that he was only asking for directions, a man came downstairs, grabbed a gun and fired a gunshot. The shot missed and Walker was able to run to safety, but the story made the headlines all across the country and was catalogued by civil rights activists as an example of what it means to be black in America. In Asim’s view, the racial tensions that dominated American culture before the 1960s Civil Rights Movement, are in no way a thing of the past. In fact, they seem to have shaped black people’s relations to law enforcement and are still present in the way modern police forces in the U.S. operate. “The difference is that they’re intensely and absurdly militarized now, which we saw in Ferguson, where we saw people marching with placards and raised fists, facing down tanks and all kinds of military equipment that you might see on a battle ground but not in a suburban street,” said Asim. The session comes at a time when racial relations and immigration are very much alive in the public discussion across the U.S. According to a recent report by Amnesty International, over 6,000 asylum seekers from Mexico and Central America (including at least 3,000 children) were separated from relatives at the Mexican border from late spring to mid-August, as a result of the Trump administration’s zero-tolerance policy to tackle illegal immigration. Despite the seemingly grim outlook, the session also made some space for hope, as Wides-Muñoz talked about the changes in the media’s depictions of undocumented immigrant youth. “The fact that Grey’s Anatomy has a whole episode dedicated to a med student who has DACA protection but is afraid of being deported, those things feel frivolous, but they actually are forcing broader America to have these discussions,” Wides-Muñoz said. 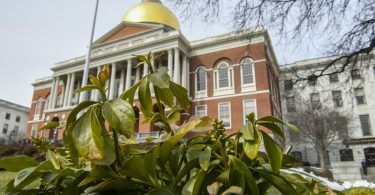 The upcoming midterm elections also came into focus, when Wides-Muñoz argued that a necessary change on policy could only come from legislators in Capitol Hill. “So if you have a vote and you don’t exercise it right now, I think that is official negligence, and if you’re not getting others to get involved as well,” she said. According to the most recent data by the United States Census Bureau, released in March 2018, the white population in America will shrink to 49.7 percent by 2045. In turn, Hispanics will account for 24.6 percent of the country’s total population. Blacks will represent 13.1 percent. A shameful panel consisting of leftist crackpots who cannot stand a challenging point of view. When faced with dissent, they screamed at the questioner at the microphone(me)who was not allowed to continue. The anti-white racism was sickening! Shame on the Boston Book Fesitival for its continual stacking of panels with disgusting leftists.